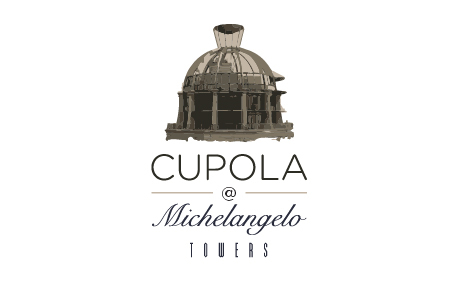 Rising 143m above the Sandton skyline, The Cupola Suite is the crowning glory of The Michelangelo Towers. While the Cupola is an apartment, its uses far outweigh that title. It is the quintessential lifestyle living property and the belle of any bespoke event. With panoramic views of the Magaliesberg, the Johannesburg CBD and the Sandton cityscape below. The 600sqm suite is a space unlike any other in Sandton and offers the event planner a unique palette from which to imagine the unimaginable. Offering the ultimate in comfort and elegance, this three-story luxurious suite boasts three en-suite bedrooms, a dining table for 13 guests, lounge and sky bar, a 13 seated boardroom, a fully equipped kitchen with laundry facilities, glass elevator, private indoor swimming pool and gym. With direct access to the Michelangelo Towers Mall, which is a stone’s throw away from Sandton City, the Nelson Mandela Square, the Sandton Convention Centre and the Gautrain, the Cupola has access to some of the top chefs and butlers in Sandton through the adjacent Legacy properties, and has all the amenities of concierge service coupled with privacy and intimacy. If you need an event that makes for maximum impact look no further. It provides its visitors with the extravagance and opulence they have come to expect from a Legacy property. In the beautiful city of Sandton, Parc Fermé offers a chic yet, traditional way of experiencing exquisite cuisine prepared by our creative and impeccable chef. Our Jeune Afrique menu offers diners an exciting selection of traditional African cuisine – with a twist. The dining area is a firm, favourite for executive meetings where privacy, intimacy and discretion are key. Take the glass lift to the third floor where you will find your own private gym, swimming pool, outside lounge area.This area is exceptionally popular for cocktail parties or as a meeting. Half or full day packages available - including refreshments, lunch and conferencing support aids.